This was my kid’s favorite breakfast this week. 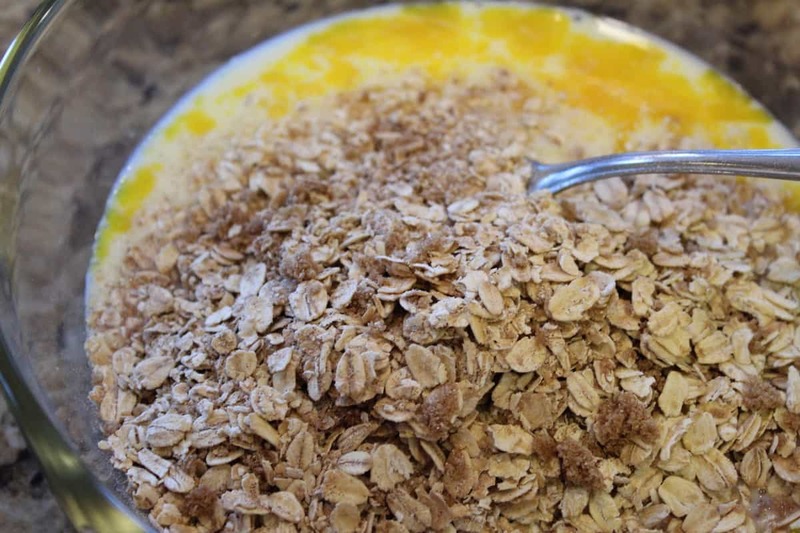 This will prove to be a great breakfast, because you can switch it out with different fruits, to get a different oatmeal every time. Next time, I am going to try cranberry and almonds. 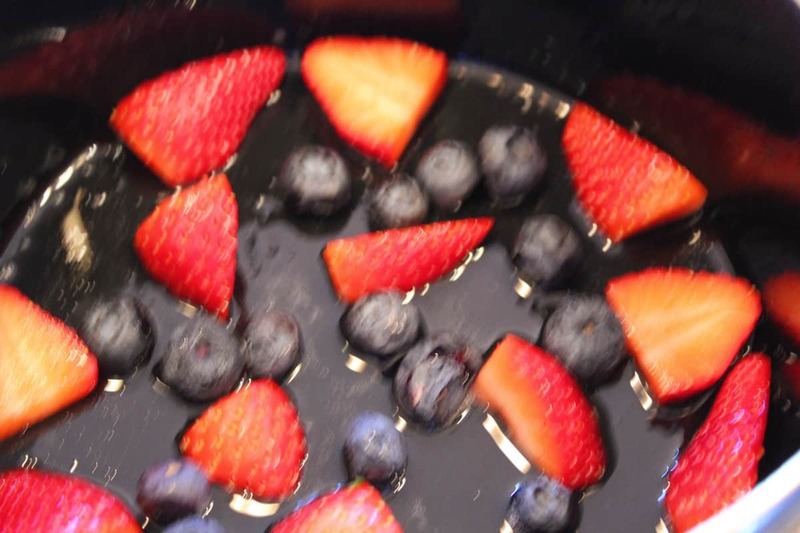 Today, I used what I had on hand and used blueberries and strawberries. Mix the egg and milk together. 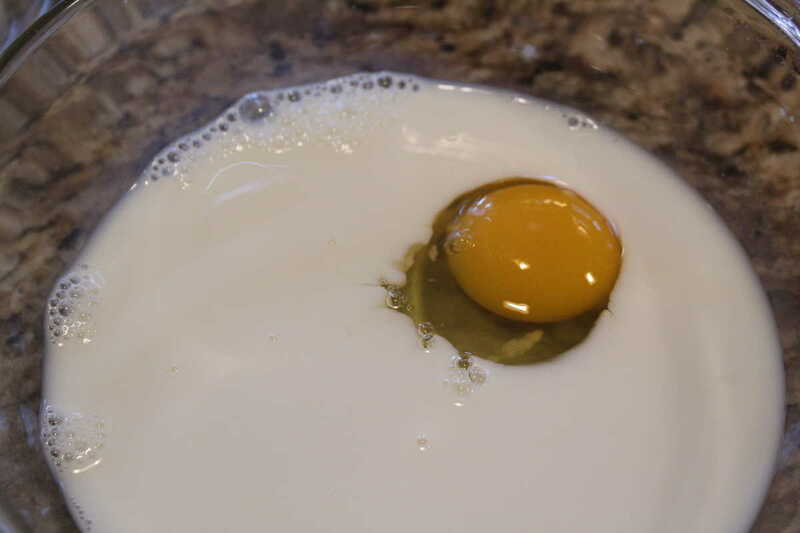 Mix together the egg and milk. 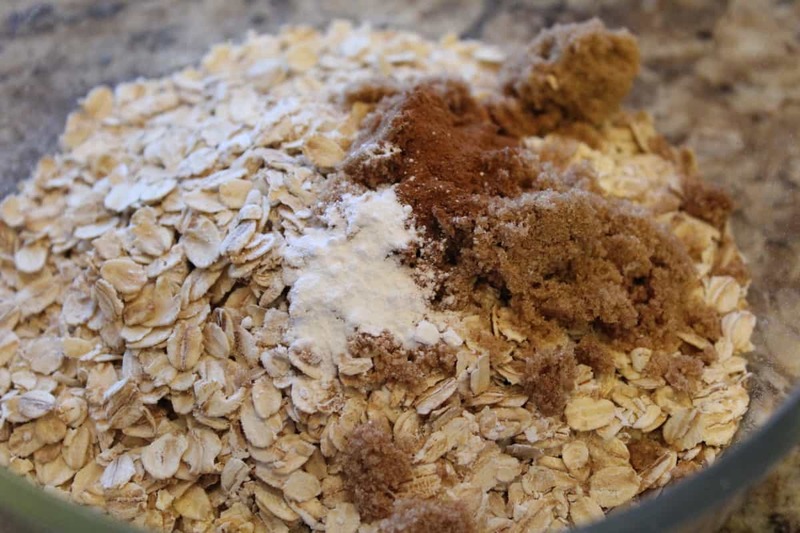 In another bowl, mix together the oatmeal, brown sugar, salt, baking powder and cinnamon. Then mix in the dry ingredients to the wet ingredients. Place some of the fruit on the bottom. Then cover it with additional fruit, and then follow the instructions. Start by mixing the egg and milk. Mix well. 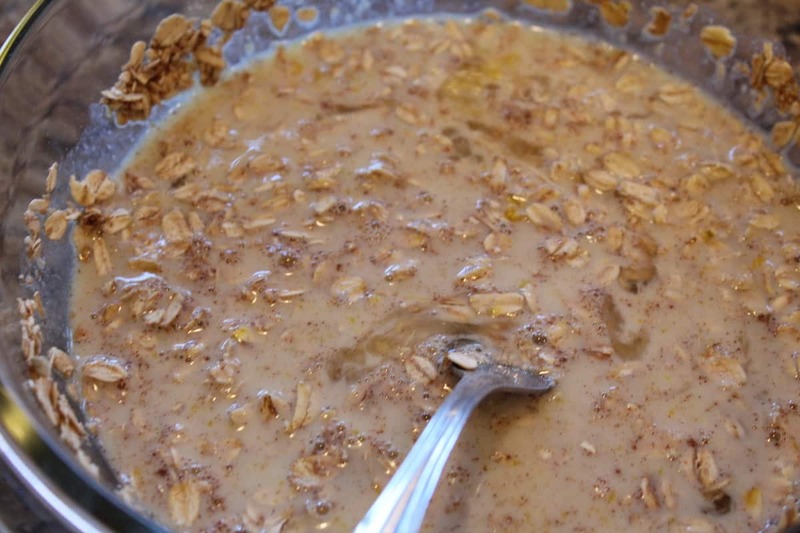 In another bowl, mix the oatmeal, brown sugar, salt, baking powder, cinnamon, and mix well. Spray your air fryer safe pan with non-stick cooking spray. 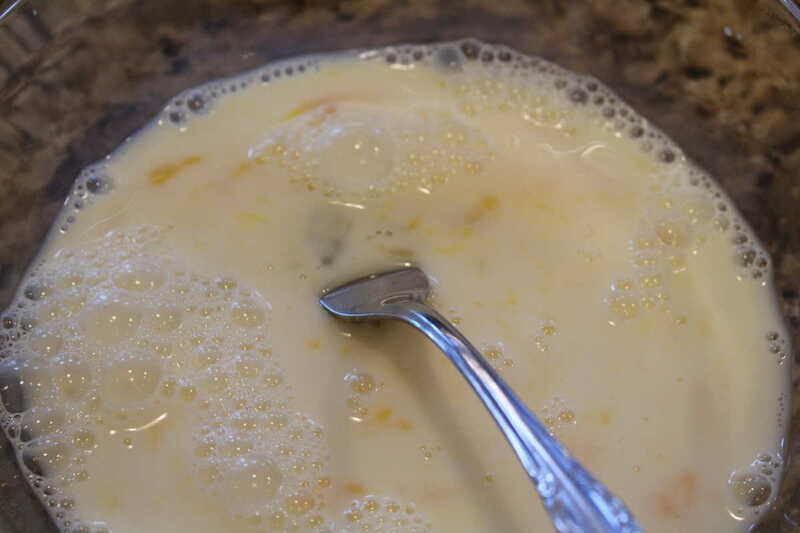 Then place ¼ cup of fruit on the bottom, and then pour the oatmeal mixtures in, and then pour the egg/milk mixture over that. Let sit for 10 minutes. Then add more fruit on top of that. sprinkle almonds and nutmeg on top. 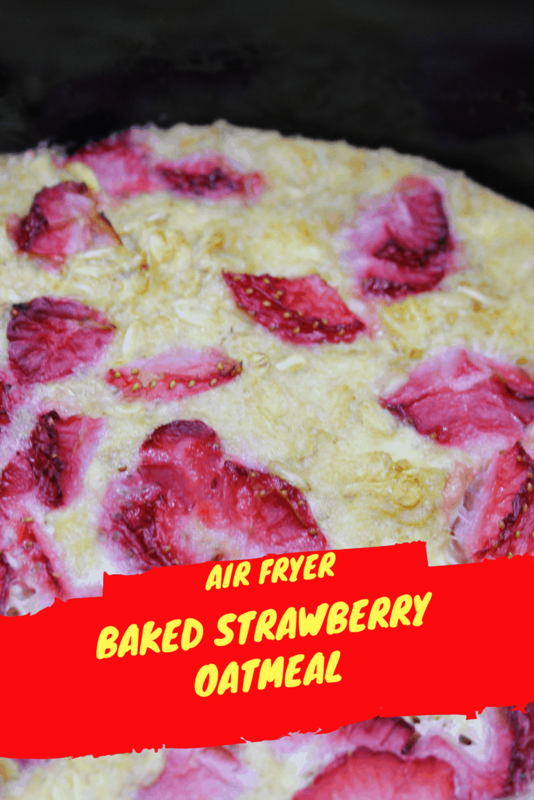 Set the pan in your air fryer and set the temperature for 320 degrees F, for 10 minutes. Check after 10 minutes to see how it's doing. 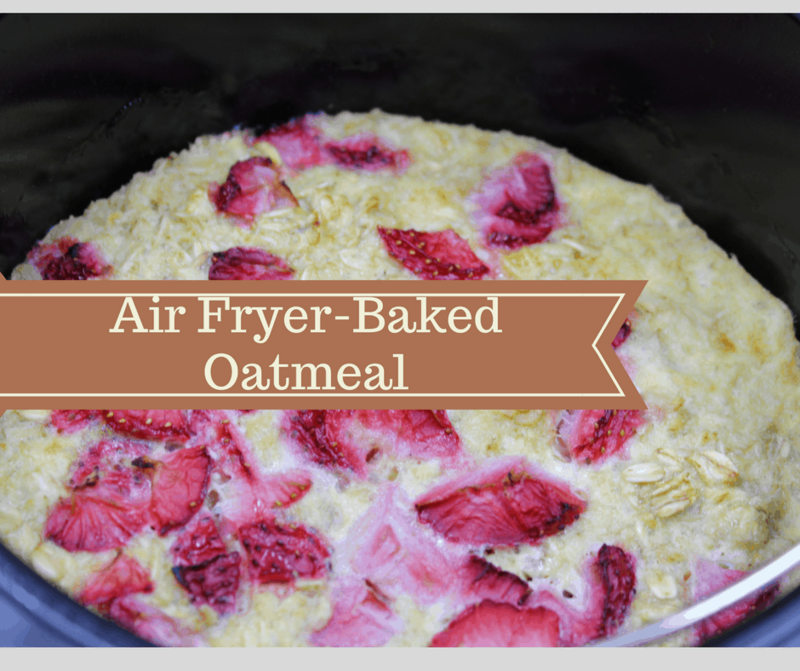 When it's done.remove from the air fryer, and let for a few minutes, before serving. It will be very hot.